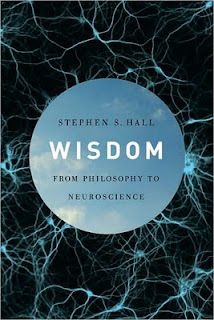 Stephen S. Hall's new book, Wisdom: From Philosophy to Neuroscience, looks interesting. A compelling investigation into one of our most coveted and cherished ideals, and the efforts of modern science to penetrate the mysterious nature of this timeless virtue. We all recognize wisdom, but defining it is more elusive. In this fascinating journey from philosophy to science, Stephen S. Hall gives us a dramatic history of wisdom, from its sudden emergence in four different locations (Greece, China, Israel, and India) in the fifth century B.C. to its modern manifestations in education, politics, and the workplace. We learn how wisdom became the provenance of philosophy and religion through its embodiment in individuals such as Buddha, Confucius, and Jesus; how it has consistently been a catalyst for social change; and how revelatory work in the last fifty years by psychologists, economists, and neuroscientists has begun to shed light on the biology of cognitive traits long associated with wisdom—and, in doing so, begun to suggest how we might cultivate it. 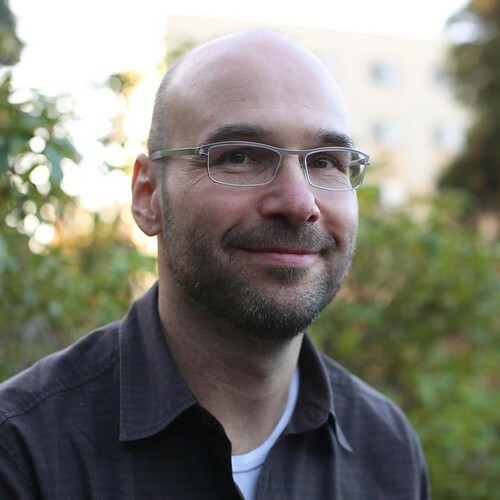 Hall explores the neural mechanisms for wise decision making; the conflict between the emotional and cognitive parts of the brain; the development of compassion, humility, and empathy; the effect of adversity and the impact of early-life stress on the development of wisdom; and how we can learn to optimize our future choices and future selves. Hall’s bracing exploration of the science of wisdom allows us to see this ancient virtue with fresh eyes, yet also makes clear that despite modern science’s most powerful efforts, wisdom continues to elude easy understanding. Hall's book is part of a larger trend that, along with happiness studies, is starting to enter (or is that re-enter?) mainstream academic and clinical realms of inquiry. First, though, one must point to another and quite general difficulty with contemporary research in the social and neurosciences, namely, a pervasive mistake about the nature of mind. Minds are not brains. Please note that I do not intend anything non-materialistic by this remark; minds are not some ethereal spiritual stuff a la Descartes. What I mean is that while each of us has his own brain, the mind that each of us has is the product of more than that brain; it is in important part the result of the social interaction with other brains. As essentially social animals, humans are nodes in complex networks from which their mental lives derive most of their content. A single mind is, accordingly, the result of interaction between many brains, and this is not something that shows up on a fMRI scan. The historical, social, educational, and philosophical dimensions of the constitution of individual character and sensibility are vastly more than the electrochemistry of brain matter by itself. Neuroscience is an exciting and fascinating endeavour which is teaching us a great deal about brains and the way some aspects of mind are instantiated in them, but by definition it cannot (and I don't for a moment suppose that it claims to) teach us even most of what we would like to know about minds and mental life. I think the Yale psychologist Paul Bloom put his finger on the nub of the issue in the March 25th number of Nature where he comments on neuropsychological investigation into the related matter of morality. Neuroscience is pushing us in the direction of saying that our moral sentiments are hard-wired, rooted in basic reactions of disgust and pleasure. Bloom questions this by the simple expedient of reminding us that morality changes. He points out that "contemporary readers of Nature, for example, have different beliefs about the rights of women, racial minorities and homosexuals compared with readers in the late 1800s, and different intuitions about the morality of practices such as slavery, child labour and the abuse of animals for public entertainment. Rational deliberation and debate have played a large part in this development." As Bloom notes, widening circles of contacts with other people and societies through a globalizing world plays a part in this, but it is not the whole story: for example, we give our money and blood to help strangers on the other side of the world. "What is missing, I believe," says Bloom, and I agree with him, "is an understanding of the role of deliberate persuasion." Contemporary psychology, and especially neuropsychology, ignores this huge dimension of the debate not through inattention but because it falls well outside its scope. This is another facet of the point that mind is a social entity, of which it does not too far strain sense to say that any individual mind is the product of a community of brains.